Many households have at least one person in residence that could be deemed the handyman. This person will gladly grab up a hammer, wrench, or screwdriver to accomplish everything from simple tasks like hanging photos, puttying and painting holes in the wall. They are also Johhny-on-the-spot for un-squeaking the door to more complex undertakings like replacing the wax ring in the toilet, installing new lighting fixtures, and putting in drywall, just for example. While these people might not be able to tackle major carpentry, plumbing, and electrical, they know their way around the inner workings of a house well enough to handle minor fixes instead of calling in the pros. And those of us that wouldnt have the first clue where to start if the faucet started dripping or a draft was coming in the door frame should encourage the handy folk in our lives to continue the home upkeep by presenting them with a variety of gifts that they will no doubt find fun and useful. If youve spent enough time watching your own handyman get frustrated over fix-it tasks that he dove into and then couldnt complete, a compendium of home repair knowledge could provide a great reference. Although he might think he can do anything he sets his mind to, having a backup on hand just in case couldnt hurt. And many projects outlined in such tomes have a list of tools and materials necessary to get the job done so he wont find himself making additional trips to the hardware store because he forgot a key component. Theres a reason most of us dont want to fix problems in our own homes: its a messy business and we dont want to get our hands dirty. Well, that, and the time and effort you have to put in. But since your personal handyman seems willing and able to get down and dirty in the bowels of your house the least you can do is help him to get cleaned up afterwards. And theres no better product than Lava soap, which removes all manner of messes from your skin, like paint and motor oil, thanks to the inclusion of pumice stone particles that it all away. On a side note, you might want to get some rich lotion, as well, since Lava is extremely drying. 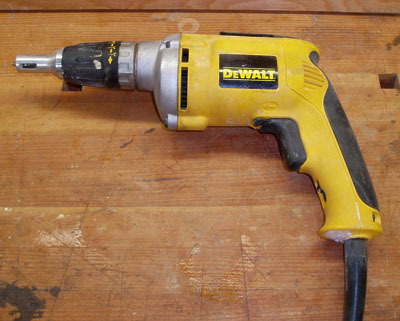 No home should be without an electric drill, either corded or cordless, traditional or impact drivers. Modern models are light and dependable enough to double as a screwdriver. While youre at it, dont forget to pick up an assortment of drill bits and screwdriver tips. Whether youre tired of seeing tools strewn from one side of the workbench to the next, or your handyman is constantly searching high and low for one tool or another, getting him a toolbox could solve your problems. You can find handheld and rolling floor models, depending on the size and scope of the tool collection, but each comes with all kinds of compartments to house both tools and hardware (nails, screws, shims, etc.). An Assortment of Hand Tools. Once youve taken care of that tool box, pick up some hand tools to go in it. For example, a hammer (a good choice is a 16 oz. straight claw model). A Zircon stud finder is one of those items people wondered how they did without it. A nail set is handy and inexpensive. A tri square, framing square, or a speed square is nice to have around. Dont forget a utility knife and some blades. Although anyone can go to weekend classes at the Home Depot for free, they might not offer what your handyman is looking for at the time you really need the information. So if hes really into carpentry or electrical, for example, look around for classes in your area that can help him to hone his skills. Who knows, he might even become certified and turn his hobby into a money-making enterprise. A Lowes, Home Depot or Rockler Woodworking Gift Card. You may wonder how your handyman could possibly need more tools and supplies, considering his workbench in the garage is overflowing, right? But just like you can always use more kitchen utensils, scrapbooking tidbits, or retail gift bags around the house, he is constantly in need of new power tools and duct tape.